When traveling to a new country or meeting people from abroad, most of us are concerned with not overstepping some invisible boundary or inadvertently stepping on toes. 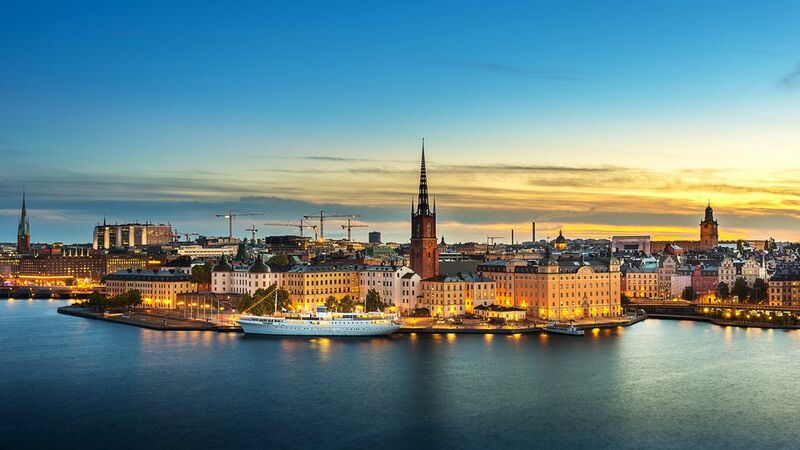 The good news is that travelers to Sweden will find the locals mostly forgiving regarding social faux pas, but a general understanding of the do's and don’ts in Sweden definitely comes in handy for any traveler. Many a traveler has been there—that terribly awkward moment when the entire table goes quiet and stares at you. Trying to be as inoffensive as possible should at least be a consideration to get the best out of the Swedes. English might be a universal language, but don’t expect to hear your mother tongue in most parts of Europe. In fact, you can only be guaranteed to hear English in the U.K. and Ireland, but it is certainly not the predominant language in Sweden. This is not to say that Swedes cannot speak English, but keep in mind that it is not their first language. Whatever you do, when you encounter a non-native English speaker in Sweden, do not raise your voice and speak more slowly to them as if they were raised in the back of a chicken coop. Learn a few basic Swedish phrases instead. Many non-Scandinavians don’t realize how animated they can be in a conversation. And the more animated they get, the more excited they get, as can be overheard in many a conversation. This is the quickest way to irritate the locals, and you can expect to be gently reprimanded if your voice carries over to the next table. When you see a Swede unconsciously turning their body away from you or shade their eyes as if they are blocking out the sun, take this as your cue; it’s you they’re trying to ward off. What you may perceive as an awkward silence, a Swede will perceive as a comfortable pause. “Don’t say what you mean, mean what you say” aptly describes the way of a Swedish conversation. Swedes are direct communicators, and every word is calculated to carry meaning across. You will hardly ever overhear conversations that are filled with social pleasantries and small talk, so don’t rush to fill the gap simply because you are used to keeping up constant chatter back home. This kind of behavior can come across as extremely arrogant, whether you mean to be or not. Don’t assume that because Sweden is a neutral entity, Swedes are uninformed about the political complexities that go on in other countries. You will actually find the Swedes read a lot and take their education pretty seriously even from a young age. This is not to say that you cannot indulge them with interesting snippets about your homeland but don't be confrontational or look like a foreign know-it-all. The medieval Vasa ship in Stockholm is a matter of national and historic pride. As far as Swedes (and now you, too) are concerned, it is the greatest engineering feat of mankind. Or at least, medieval-kind. The Swedes love their personal space. They are not touchy-feely by nature. In fact, don’t even stand too close at the cash register in a shop. Don’t sit next to someone on a bus if there is an open seat for you elsewhere. Think about it; if a complete stranger sits next to you in an empty bus, wouldn’t you too feel uncomfortable...or perhaps cling onto your handbag for dear life and look for the nearest escape route? This is similar to American culture, so act pretty much as you would at home in this regard. The Swedes love their fika, which has no English translation but generally means a social break with coffee, sweets, and friends. And most Swedes do this every day at least once. So get ready to partake in this Swedish tradition, but do not ask for a decaf substitute—it's awful and not always available. Coffee and cinnamon buns might as well be the society glue, giving people a reason to get together and be social, especially in ​Stockholm. And don't go on about how much better the beer is in your home country. In fact, don’t talk about how much better anything is in your home country. It is rude and obnoxious, no matter where you go. Yes, the Swedish beer is much lighter and may taste like a watered-down version of your homebrew to you, but the Swedes happen to like it. If you don't like it, just order a different drink. When you are in Sweden, you support the Swedish hockey team. End of story. This is the safest option unless you want to start an argument. Don’t mention any other hockey teams. For the time being, you are a Swedish hockey patriot. The Swedes and the Finns have a long and complex history, so anyone not from Sweden or Finland had best leave it at that. Your trip might not be about making friends, but if you come to Sweden like the cast of "Jersey Shore," you are in for a world of rebuking. The social filters will go up, and your new local acquaintances will try to avoid you like a gunshot to the head. In Sweden, everything is done in moderation, from everyday clothing to late night ​clubbing in Stockholm. People have fun, but just enough without making a nuisance of themselves. Remember that loud antagonizer at your local bar? You won’t find him here, so consider this inclination toward moderation a blessing. Sweden is an extremely green country, and we don't mean the landscape (although it is that, too). This extremely environmentally conscious country deeply frowns on littering and not recycling paper, glass, and plastic. So do the right thing. In another aspect of Swedish environmental concern, the Swedes shun bottled water and the plastic bottle trash it causes. Instead, they overwhelmingly drink water right from the tap. It's said to be delicious, clean and well-filtered. Restaurants and bars all serve wine, beer, and liquor, but if you want to take some back to your hotel room, you can buy it at only one place: a Systembolaget outlet, which is a government-owned and -operated liquor store. These stores often close early, so if you want a bottle or a six-pack, plan to get there before 6 p.m.
Sweden is a country surrounded by thousands of islands off its north, south, east, and west coasts. Get out of the cities and do some island-hopping, where you'll find out how the locals live, be charmed by Swedish cultural heritage, and revel in nature's beauty. You can take a ferry to the largest islands for a memorable day trip or two. Whether you're in a shop, a walk-up cafe, buying a ticket for public transportation, or any other place where you must stand in line, don't shove to the front. The Swedes value politeness and waiting your turn. So take a number or take your place at the back of the line and be patient.